While agencies spend a great deal of time working to clarify their clients’ audiences and provide relevant content and programs for them, they often lack the resources (both in terms of client numbers and research expertise) to gain a reliable understanding of what their own clients and prospects are really looking for in an agency. To help small- to mid-sized agencies better understand the needs and motivations of their target audiences, Audience Audit and Agency Management Institute recently partnered to conduct a quantitative attitudinal segmentation study of 271 buyers of agency services across the U.S.
All respondents work in organizations with a marketing budget of $1 million or less, all are decision-makers with regards to purchasing agency services, and all work with agencies now, have worked with them in the past, or are in the process of hiring an agency. The study answered some common agency questions with surprising insights. Respondents believe that agencies are a critical partner for business success and are the best resource for marketing strategy, tactical execution, insights and advice regarding the latest marketing trends, and innovative new ideas. 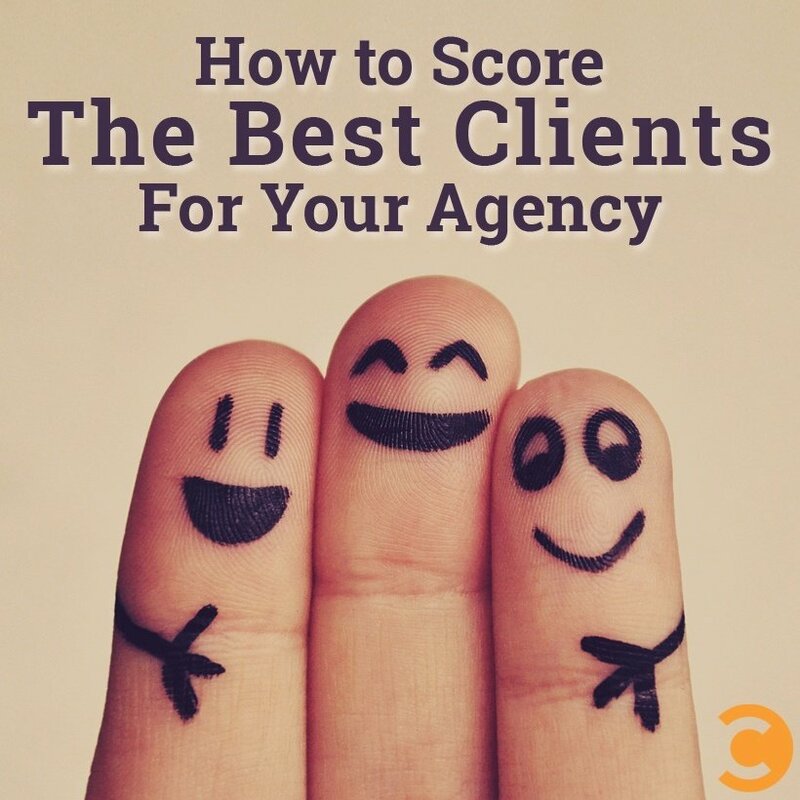 They believe it’s important to develop a long-term relationship with an agency, and they don’t expect their agency to know everything, but they do expect they’ll know where to find the best answers. Respondents believe that hiring agencies is a necessary evil in order to benefit from their specialized expertise. They prefer to work with subject-matter experts in their required marketing disciplines, and they believe it’s important to change agencies periodically, even if they’re doing a good job. They favor youth and experience, and they believe small agencies are more client-focused than large shops. Respondents are less agency-dependent, since their organizations have clear marketing plans and often also the resources to carry them out. They rely on agencies less for strategic guidance, although they do find agencies valuable for generating ideas they can execute on their own. In one of the most striking findings in the study, we found no statistically significant difference in industry vertical, maturity, organization size, or annual revenue among these segments, despite their dramatically different attitudes about the role of agencies in their marketing programs. Agency Question #1: How Do We Find Loyal Clients? 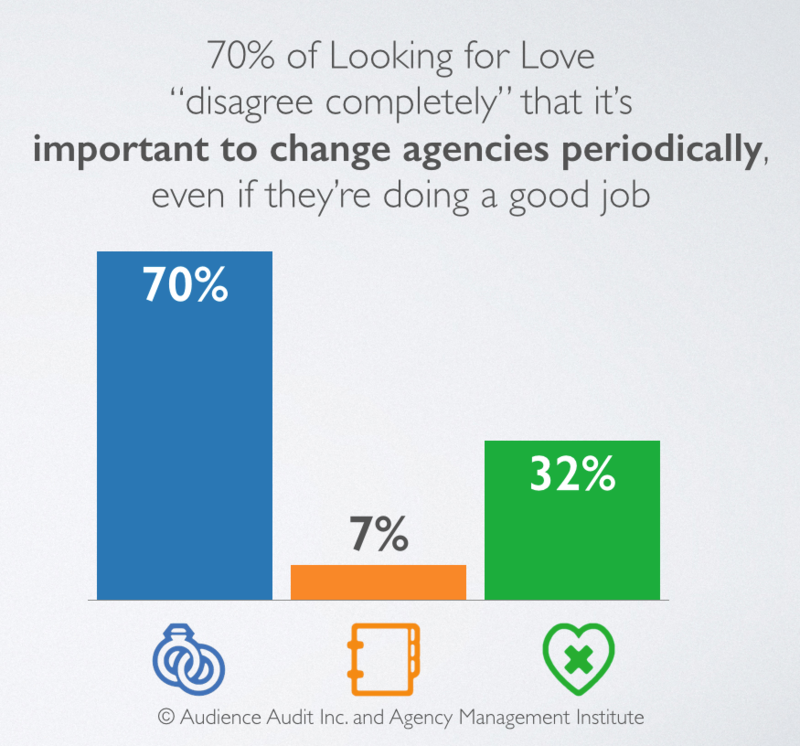 Even among “Looking for Love” respondents, those who feel most strongly about comprehensive long-term relationships with agencies, 86% say they have at least two agencies currently. However, it’s clear that the “Looking for Love” segment is most inclined to be loyal to their agencies. 70% disagree completely that it’s important to change agencies frequently, while only 32% of “Single and Satisfied” respondents and 7% of “Playing the Field” respondents disagree strongly with the same statement. Those targeting the “Looking for Love” segment should keep in mind, however, that these organizations, despite their interest in a deeply collaborative relationship with their agencies, are far more likely to have lower marketing budgets and are least likely of all the segments to have a marketing staff (and if they have a staff, it’s a smaller one). Agency Question #2: How Can We Target the Big Spenders? 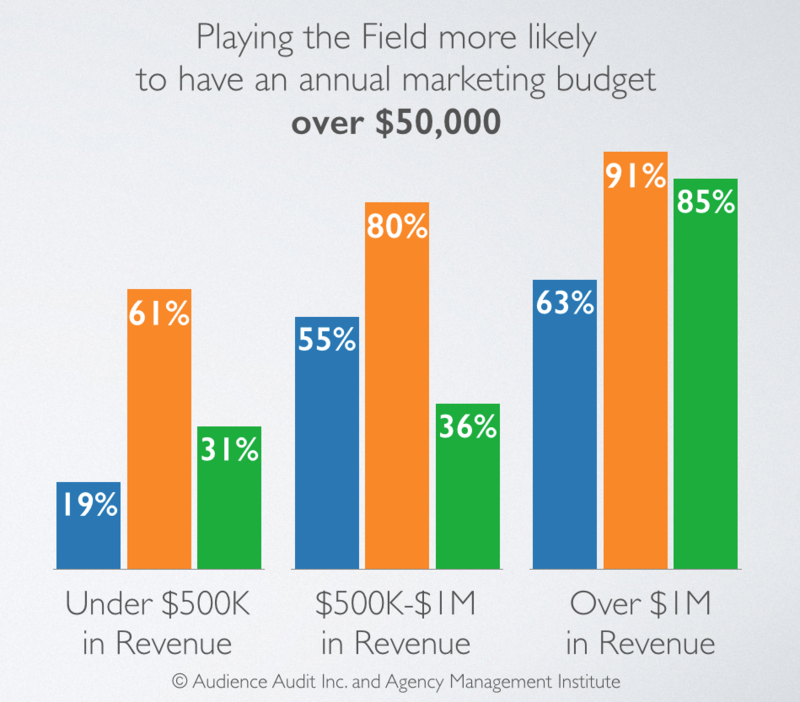 “Playing the Field” segment members reported significantly higher marketing budgets, regardless of their annual revenue bracket. They are also more likely to say they prefer agencies to freelancers, making them a good target for agencies wishing to capitalize on these larger spend levels. However, “Playing the Field” organizations are much more interested in specialist agencies than generalists, believe in changing agencies even when they’re doing a good job, and are much more likely to be using analytics to monitor the success of their marketing programs (and partners). So agencies targeting this group need to be on their toes! Agency Question #3: Will Clients Buy Strategy? The research definitely shows an interest in the strategic guidance agencies can provide, although that interest varies significantly by segment. 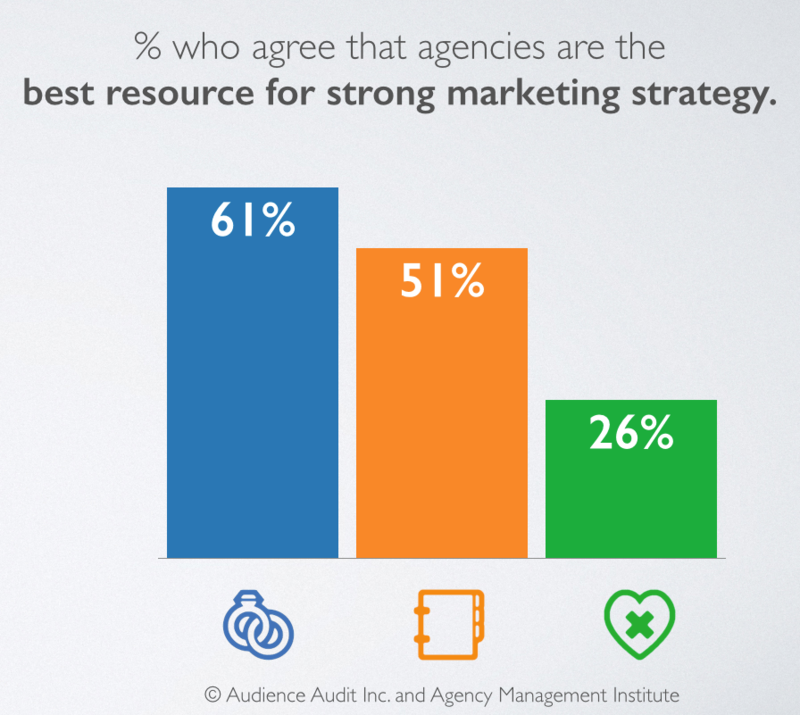 61% of the “Looking for Love” segment members and 51% of “Playing the Field” respondents agree enthusiastically that agencies are the best resource for strong marketing strategy. This compares to only 26% of “Single and Loving It” respondents, who generally seem to feel that they have strategic efforts covered with their own marketing team. The study revealed many more insights that should prove helpful to agencies seeking to serve organizations with marketing budgets of less than $1 million. Read more and download the full report here. Susan Baier is a 20-year marketing strategy veteran with an MBA in Entrepreneurship. Her company Audience Audit provides strategic marketing support and audience segmentation research that helps organizations understand their customers better.